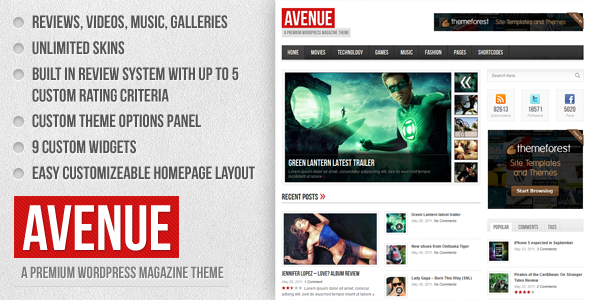 Here's a good magazine style theme that offers reviews, videos, music, galleries, skins. a review system, widgets and a customizable homepage layout system. These theme would make a good Avenue of approach to your website.